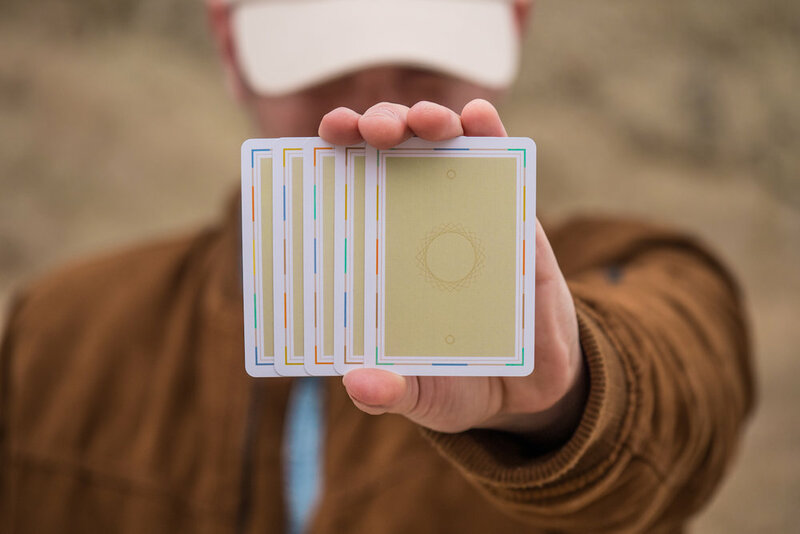 Technique playing cards are a tool that will help you create and expand your skills in the amazing art of Cardistry. 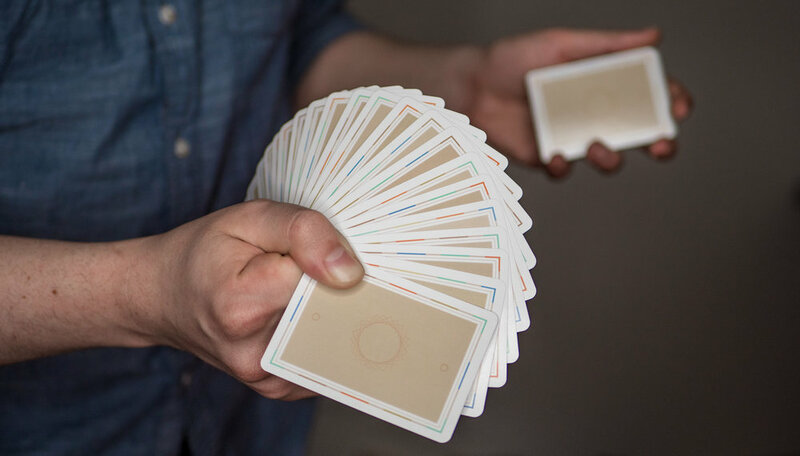 Technique is the FIRST and ONLY deck of cards designed specifically to help you create Cardistry instantly. 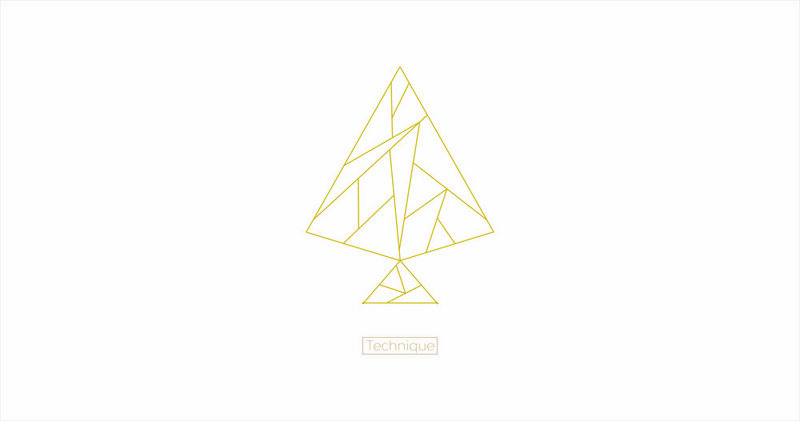 The second iteration of Technique has been three years in the making and it has gone through multiple design iterations to get it just right. This version is designed to compliment everyday clothing and modern style. 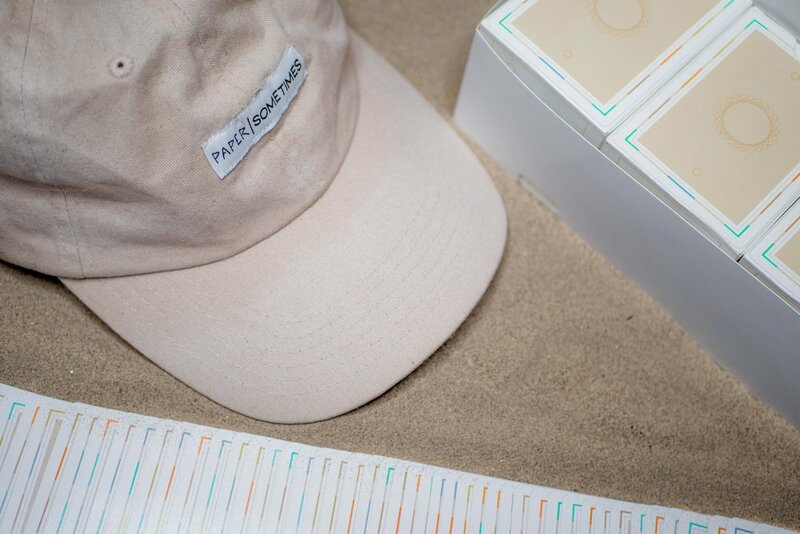 With its desert tones, this "Camel" edition will quickly become a staple in your everyday carry. The deck consists of 5 back designs with a rotating border of color. Each color is parallel to its mate. The location of these colors are based on the most common edge grips used in Cardistry. Since each back is a one way, if you rotate it 180 degrees, you get another back design! 10 in total! The basic use of Technique is to pick one (or more) of the five colors on the back and that is your contact point. Each time you break off a new packet, you reveal a new back design and also a new location for your chosen color! This forces you to contact only that color and ends up putting you into random, new positions and creating new movements every time you break off a new packet! The faces have been colorized with vibrant teals, blues, golds and browns: with the traditional reds being teal and the blacks being gold, giving depth and amazing visual appeal when flourishing. 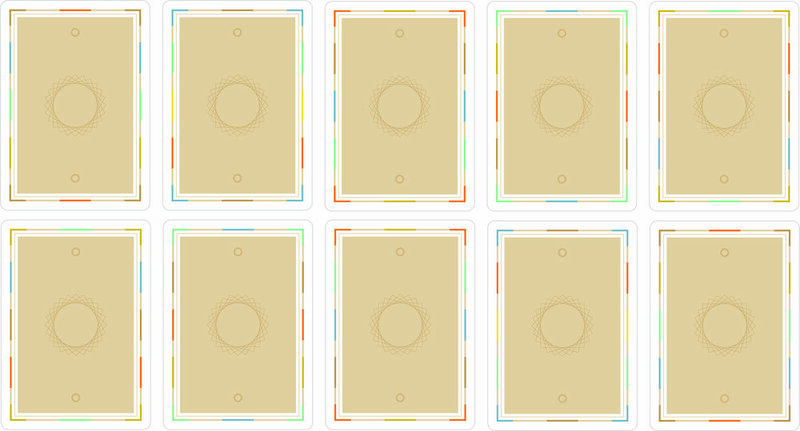 New additions to the Camel edition is the familiar colored border is now also on the faces! Even if you flip packets face up or down, you will never get lost in creating and following colors! Also, the addition of pivot points on the backs for Flirt type moves has been added. By limiting how you flourish with Technique, you will actually improve. Play with limiting the colors you use, the number of fingers that touch the cards or start in the most impossible grips and see where Technique will take you! Technique will be printed by the United states Playing Cards Company on Crushed stock and will also be Traditionaly Cut! 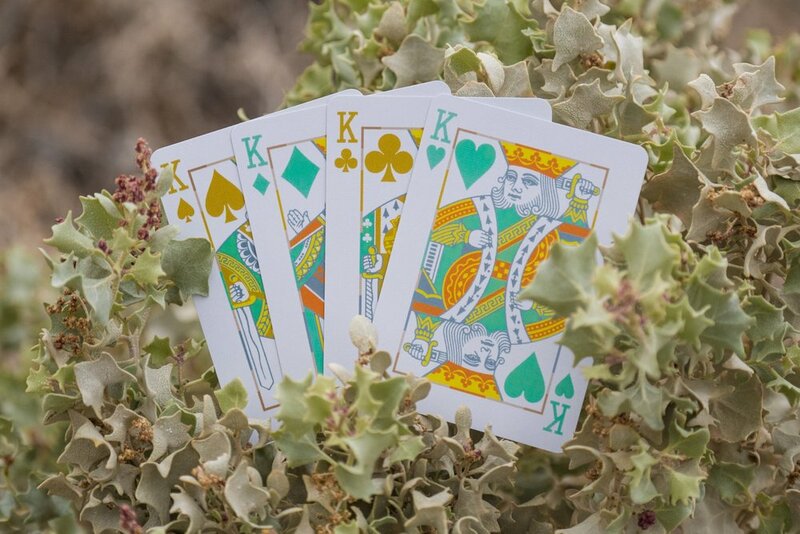 ways to order a deck of cards. Times that by 10 back designs and 10 fingers. Thats a lot of possibilities. 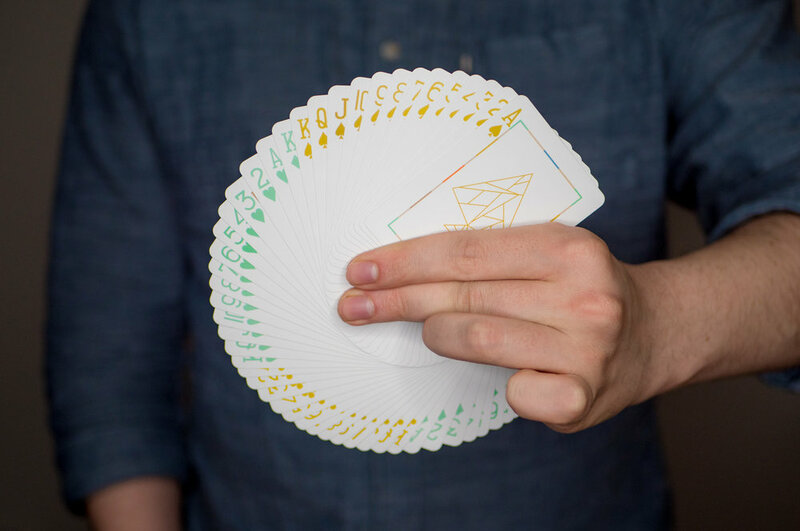 In this bundle you will learn 5 flourishes designed to give you a wide variety of different Cardistry moves to compliment any Cardistry style. F5: A two handed cut that spins and rotates like an F5 level storm, until it closes swiftly into the deck. Kronkite: A one handed, one card flourish that whips a card off the top of the deck and flips in onto the bottom in .4 seconds! Your new go to fidget move. Lemon Twist: A three packet cut that is simple and direct. Opening and closing with a full 360 spin of the final packet. Free Fall: Imagine free falling, spinning and turning as you fall to the ground...SPLAT. Should of had a parachute. Frozen Cascade: We have all seen the gag deck with a string connecting all of the cards. Imagine freezing the motion of cards for real with any deck…and then removing your hand from it all! Note* You will receive and email with a link to access the tutorial bundle after you place your order.